Cent-Percent marks to you all for guessing this right. I received this Beautilicious Gift-Hamper from MarksAndSpencer as a winner of Facebook contest by MarksandSpencer at Infinity Mall - Malad . 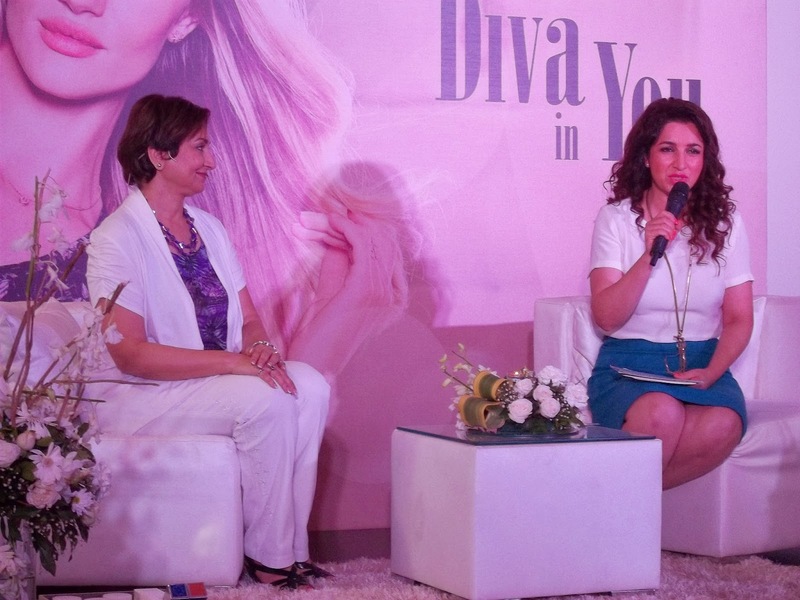 Congratulations on winning an exclusive invitation to celebrate the Diva In You. The event will be a special Live Talk Show hosted by the gorgeous Tisca Chopra, dedicated to expert advice on lingerie, beauty and most importantly, the Diva in You. Feel free to bring along a friend or a family member with you. This invite is valid for 2 female guests only. As soon as I entered MarksAndSpencer Beauty store, I was greeted by these lovely girls. They draped a 'Celebrate-Diva-In-You' satin-sashay around my shoulder, instantly transforming me into a beauty-pageant. The whole store was decorated as if Diwali's Dhanteras day. Even the mannequins, the assorted cosmetics, lingerie were accompanied by Lilies of the valley. I was ushered towards a flower-decked dais. The fashionistas in the audience were exchanging pleasantries with each other. Some were sipping the sparkling vine, while others were guzzling Orange / Pineapple juices. The waiters were serving horse-devours on a loop. Overall the whole atmosphere was that of a friendly-get-to-gather in a stylish bistro. The Bar-setup was sky-rocketing the chic-quotient. The MC started the event with a rapid-fire-Q-contest. Ms. Preeti won the gift-hamper. Next rapid-fire round was won by Ms. Smita. The audience applauded for both Diva's. Now the star hostess Ms. Tisca Chopra took the center-stage. She interacted with Dr. Vinu Kriplani about various beauty treatments. Dr. Vinu gave solutions for the numerous skin-related problems of audience. Beauty-Expert Ms Jharna Shah's whole persona was so enchanting that gorgeous Ms. Tisca gushed 'Hi Jharna , you look like a super-model. And then she proceeded in revealing quite an interesting beauty-secrets-tips for the eager audience. 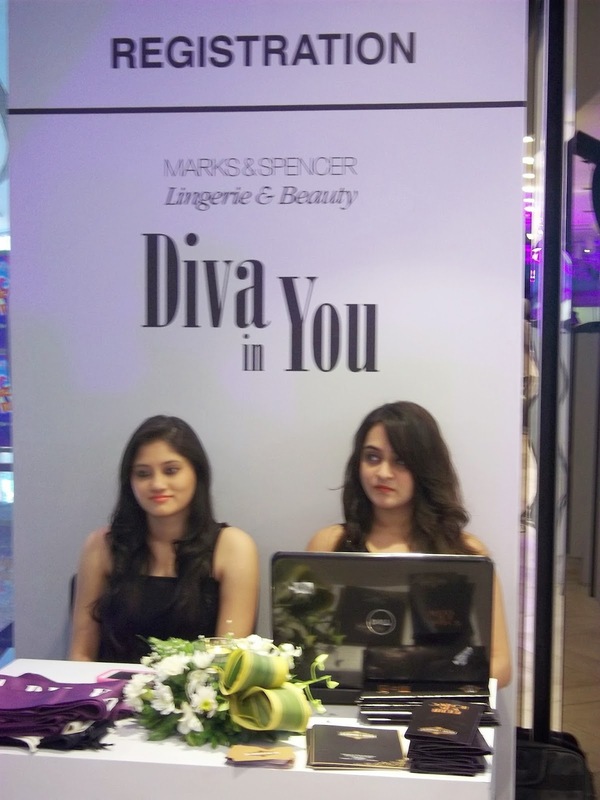 All of us received a free make-over from the beauticians of Jharna Shah beauty academy. We feasted on tiny cup-cakes, cheese-balls, beetroot-sweets, toast-sandwiches, real-fruit juices and last but not the least ... sparkling vines.